Christmas truly is a wonderful time of year. Lots of happiness and cheer and time being spent with the family. Fortunately – or unfortunately depending on your opinion – we also get to spend some quality time with our beloved pets. 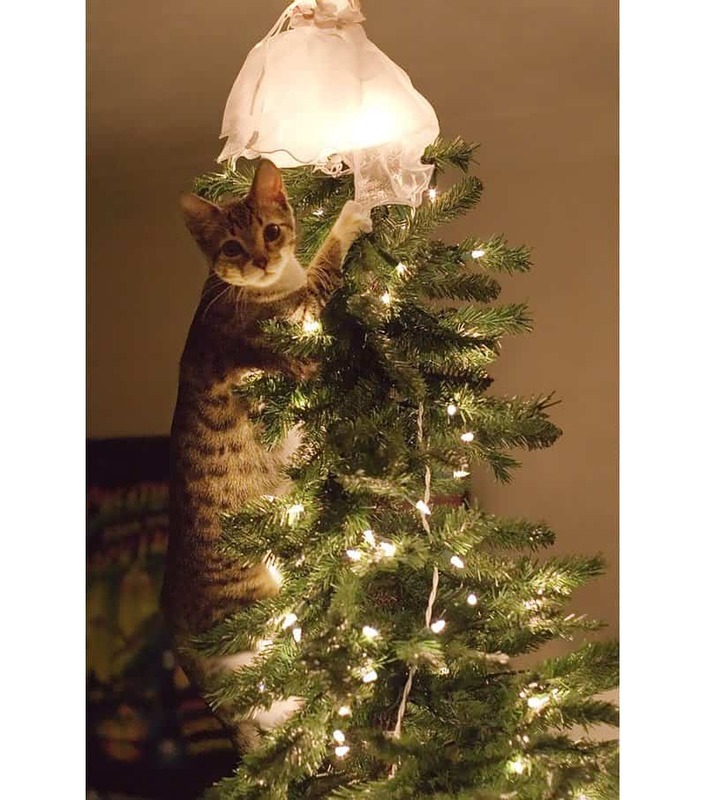 It’s during this time of wonder and magic that these majestic felines decide that it is for the best to help decorate the family Christmas tree. 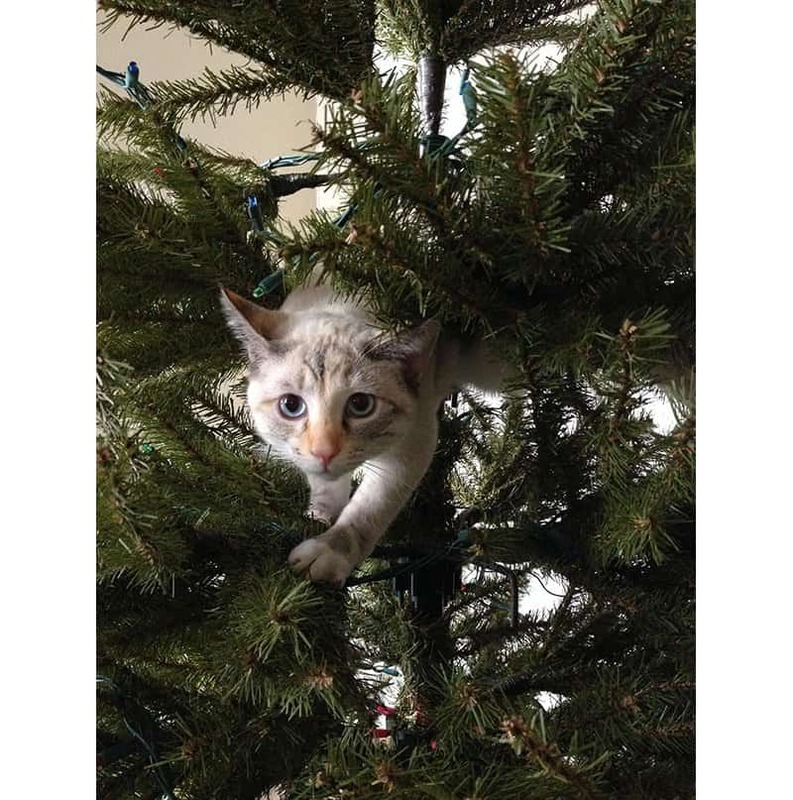 Here is a list of ten hilarious cats climbing Christmas trees, and maybe this’ll make you want to keep an eye on yours. 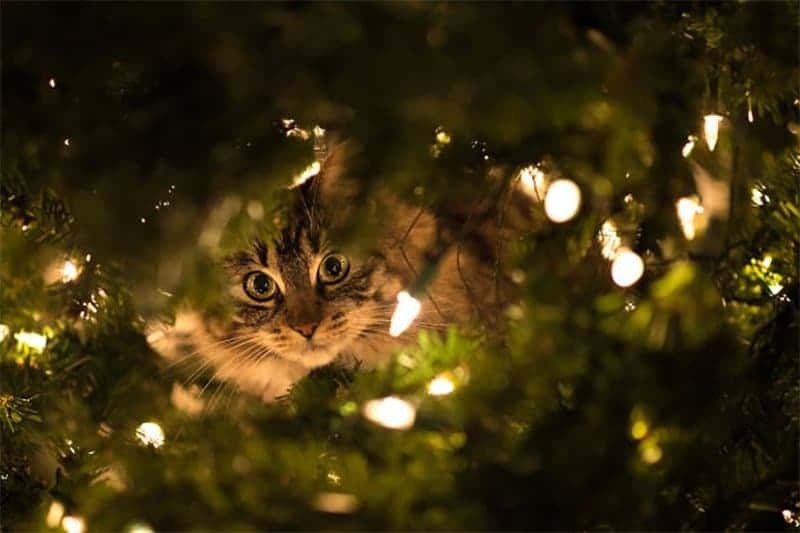 This kitten captures the wonder and magic of the Christmas season with its wide curious eyes. 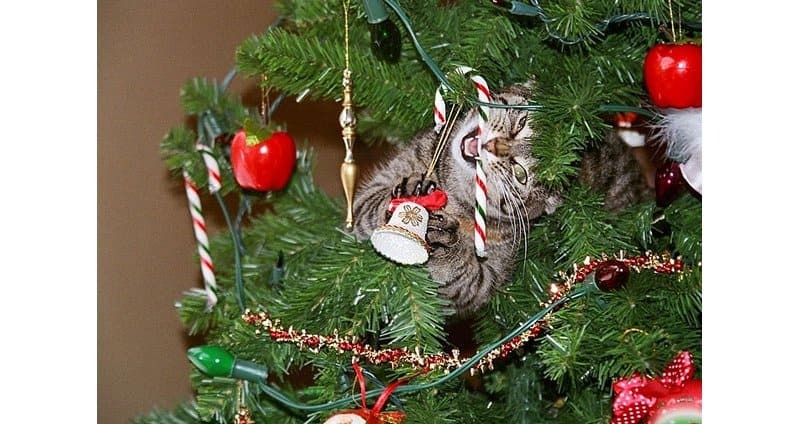 This cat decided to take his tree climbing activities a little too seriously. The wonderful Christmas treat seems like a big hit with children of all ages and of all species. 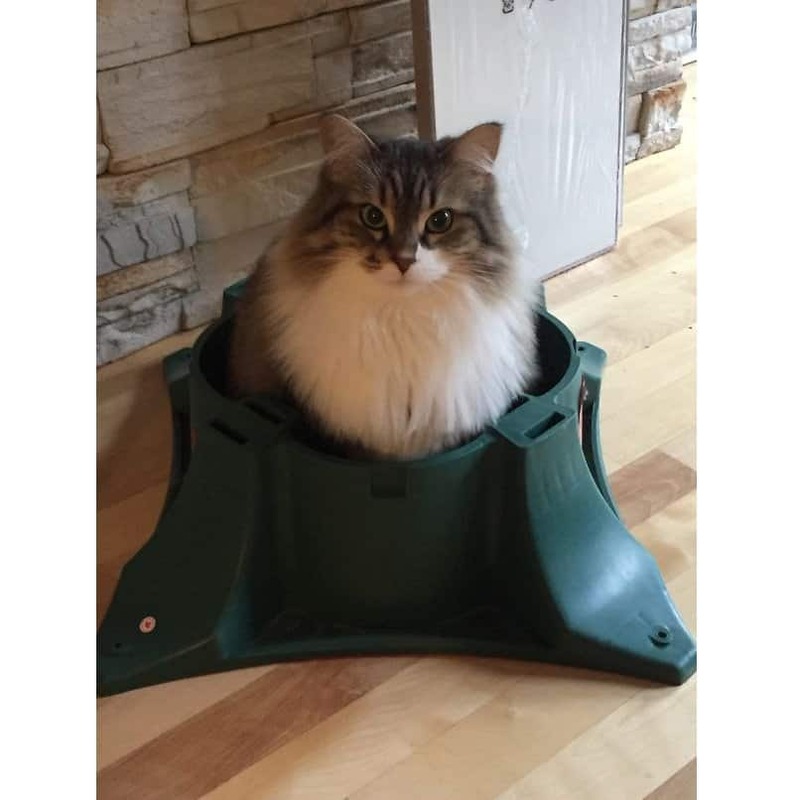 This look of sadness seems a little bit out of place for a cat who should be enjoying themselves. It seems the stark contrast of the black cat and the bright lights helps with the camouflage after all. 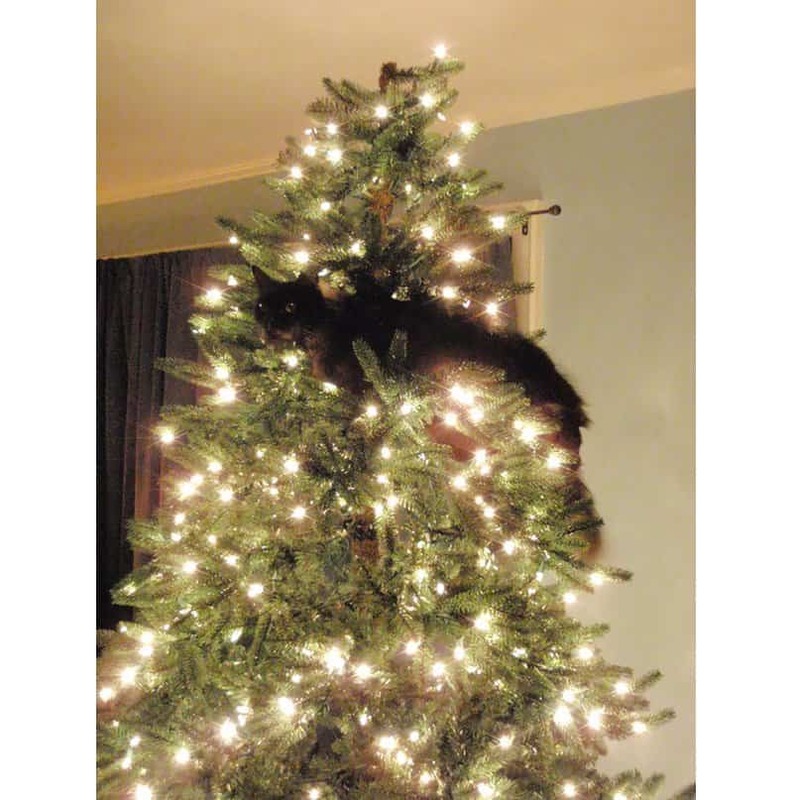 It just looks like a dark silhouette hanging in the tree. Curiousity certainly wont kill this kitty, but it should definitely make her blush. 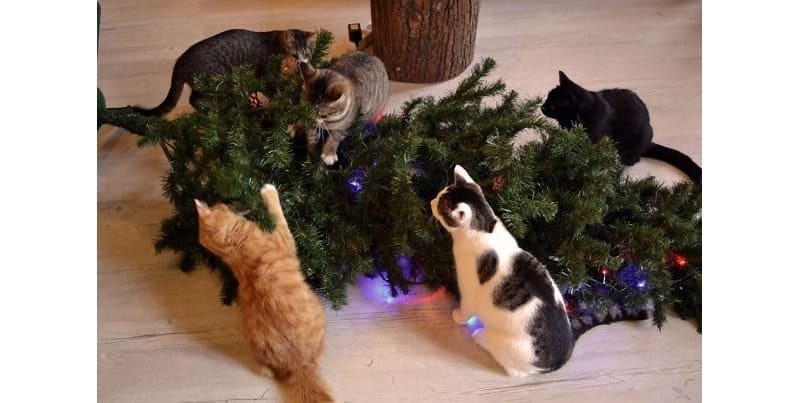 What do you get when you mix a gang of cats with a poor Christmas tree? Total destruction on the funniest scale. 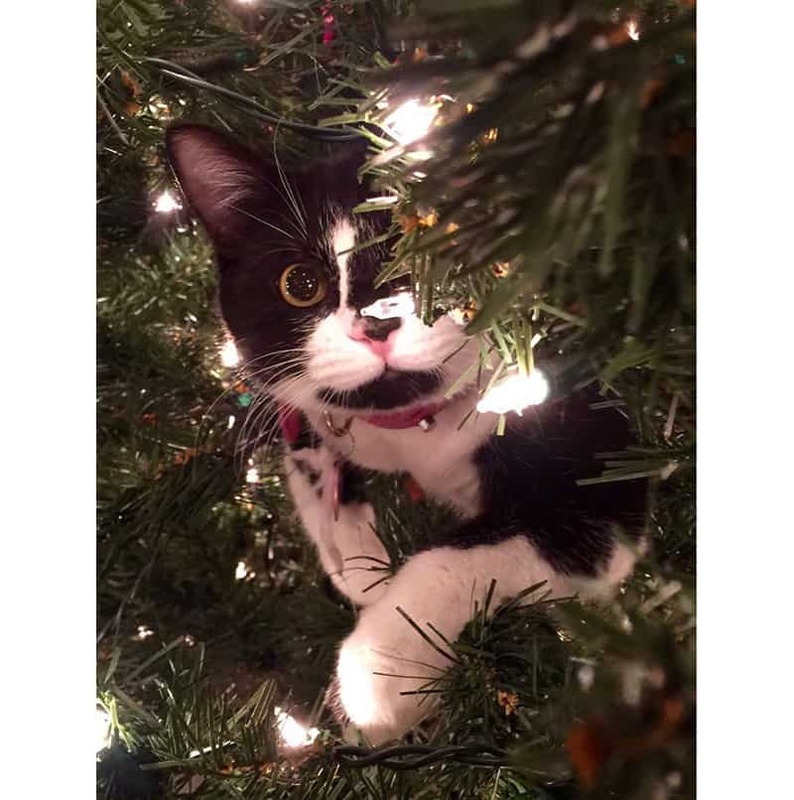 There’s no need to put up a pretty looking Christmas tree when your cat looks this fabulous. 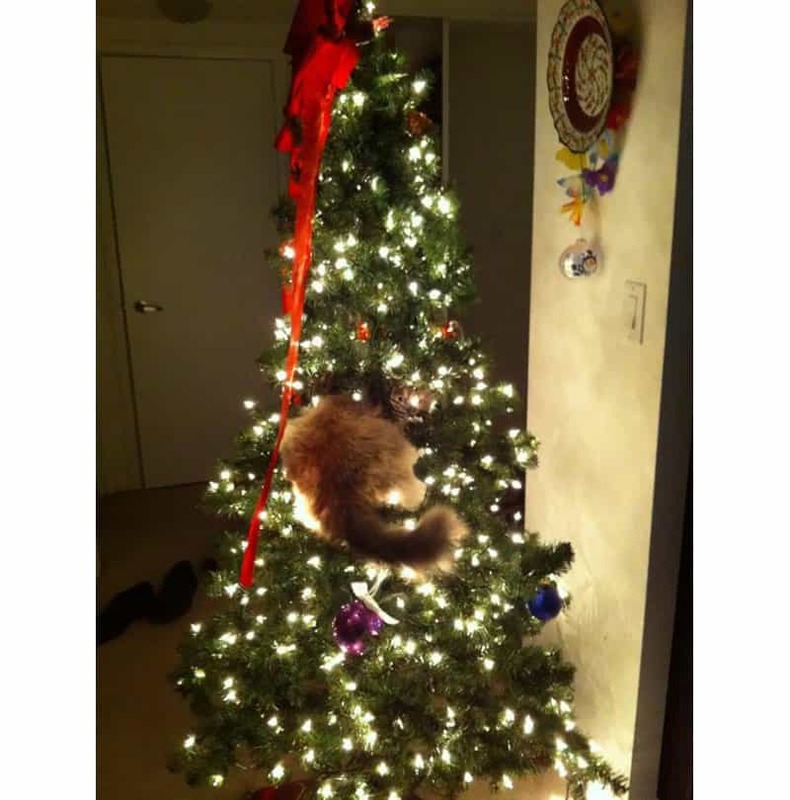 Also, it doesn’t help that he’s blocking the tree building process. 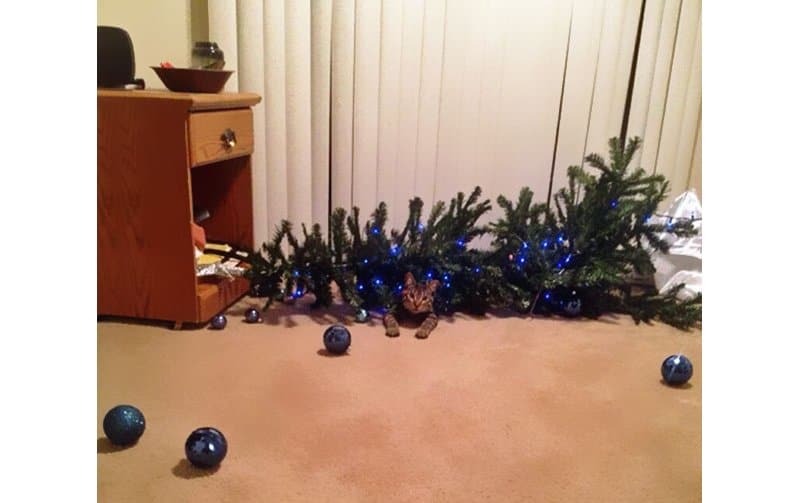 This very photogenic cat seems to be making the most of his Christmas tree hiding spot.